Meanwhile, the Turkish shelling of Kurdish positions continued for more than three hours almost uninterruptedly, a Kurdish source told RT, adding that the Turkish forces are using mortars and missiles and firing from the Turkish border not far from the city of Azaz in the Aleppo Governorate. The shelling targeted the Menagh military air base and the nearby village of Maranaz, where “many civilians were wounded,” local journalist Barzan Iso told RT. He added that Kurdish forces and their allies among “the Syrian democratic forces” had taken control of the air base on Thursday. According to Iso, the Menagh base had previously been controlled by the Ahrar ash-Sham Islamist rebel group, which seized it in August of 2013. The journalist also added that Ahrar ash-Sham militants at the base had been supported by Al-Nusra terrorists and some extremist groups coming from Turkey. Ahrar ash-Sham is a militant group that has trained teenagers to commit acts of terror in Damascus, Homs, and Latakia provinces, according to data provided to the Russian Defense Ministry by Syrian opposition forces. The group, which has intensified its attacks on the Syrian government forces since January, was getting “serious reinforcements from Turkey,” Russian Foreign Ministry spokeswoman Maria Zakharova said during a briefing in Moscow on January 21. A source in the Turkish government confirmed to Reuters that the Turkish military had shelled Kurdish militia targets near Azaz on Saturday. A Turkish security official told Reuters that the shelling of the Kurds had been a response to a shelling of Turkish border military outposts by the PYD and forces loyal to Damascus, as required under Turkish military rules of engagement. Turkey’s PM Davutoglu also confirmed that the country’s forces had struck Syrian Kurdish fighters and demanded that the Kurds retreat from all of the areas that they had recently seized. “The YPG will immediately withdraw from Azaz and the surrounding area and will not go close to it again,” he told reporters, adding that Turkey “will retaliate against every step [by the YPG],” Reuters reports. 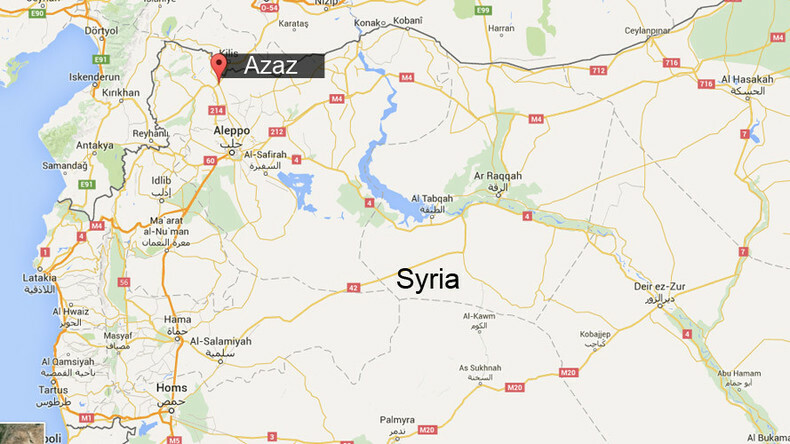 A Kurdish official confirmed to Reuters that the shelling had targeted the Menagh air base located south of Azaz. According to the official, the base had been captured by the Jaysh al-Thuwwar rebel group, which is an ally of PYD and a member of the Syria Democratic Forces alliance. 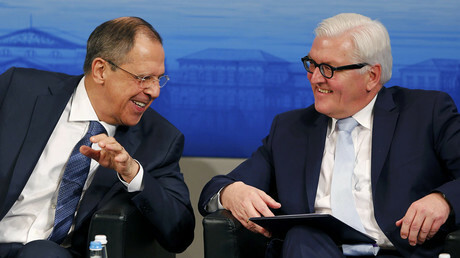 Turkey’s shelling of the Syrian Kurds comes just days after a plan to end hostilities in Syria was presented in Munich after a meeting of the so-called International Syria Support Group (ISSG), in which Russian Foreign Minister Sergey Lavrov, US Secretary of State John Kerry, and UN Special Envoy on Syria Staffan de Mistura participated. “As I have said, the link between the YPG and the [outlawed Kurdistan Workers’ Party] PKK is obvious. If the YPG threatens our security, then we will do what is necessary,” Davutoglu said on February 10, as quoted by the Hurriyet Daily. “The leadership cadre and ideology of the PKK and PYD is the same,” he argued in a televised speech in the eastern city of Erzincan on Saturday, AFP reports. Davutoglu also said that if there is a threat to Turkey, “we will strike PYD like we did Qandil,” referring to a bombing campaign waged by Turkey against the PKK in its Qandil mountain stronghold in northern Iraq, Daily Sabah reports. Turkey regards the Syrian Kurdish Democratic Union Party (PYD) and its military wing, the YPG, as affiliates of the outlawed Kurdistan Workers’ Party (PKK), which has waged a decade-long insurgency against Turkish authorities, demanding autonomy for Turkish Kurds. The latest developments come as Turkey continues a relentless crackdown on Kurds in its southeastern region. Ankara launched a military operation against Kurdish insurgents from the outlawed Kurdistan Workers’ Party (PKK) in July of 2015, breaking a ceasefire signed in 2013. Turkey’s General Staff claim that Turkish forces killed more than 700 PKK rebels during the offensive in the southeastern districts of Cizre and Sur. Meanwhile, Amnesty International has reported that at least 150 civilians, including women in children, were killed in the Turkish military operation, adding that over 200,000 lives have been put at risk. According to the Turkish Human Rights Foundation, at least 198 civilians, including 39 children, have been murdered in the area since August of 2015.